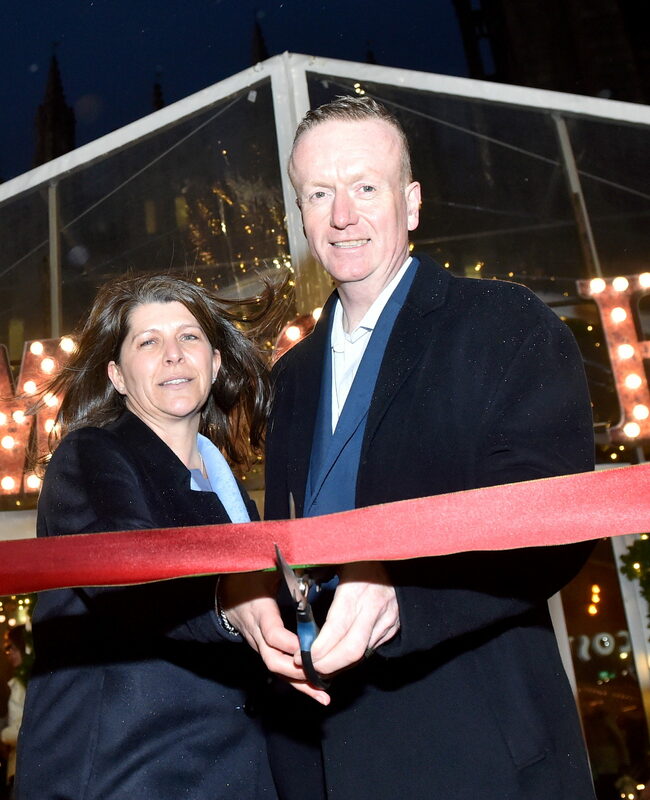 Christmas arrived early in Aberdeen last night with the switch-on of the city’s Castlegate tree and grand opening of the its “biggest and best” festive village so far. 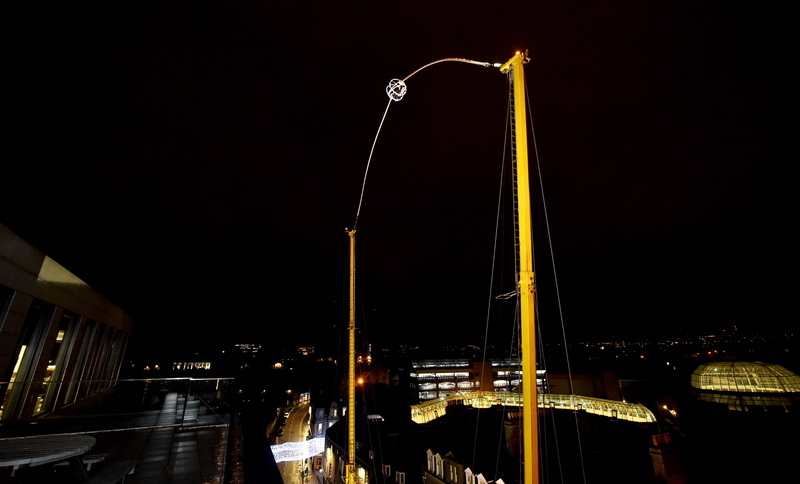 The Broad Street attraction was unveiled to the public with a wider array of activities and stalls than ever. Alongside the longest temporary ice rink ever installed in the north-east sits a range of Codona’s carnival rides, Yuletide food stalls and gift shops. 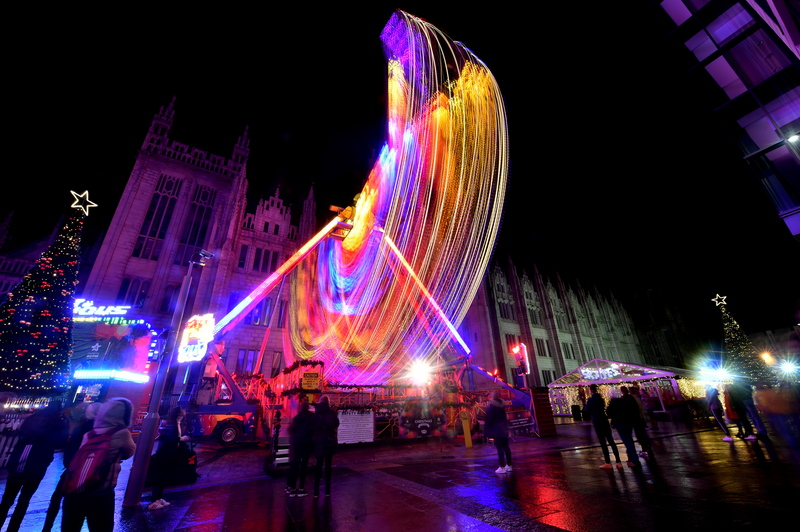 In addition, the Marischal College Quad has been given a merry makeover with festive cabins housing local arts, crafts and gifts and a Santa’s grotto. Adrian Watson, chief executive of Aberdeen Inspired, said: “People are out in their droves already. He added: “We’ve got this wonderful array of rides, a beautiful ice rink and so much else to offer people. Around 70 local businesses have signed up to sell their wares in Marischal College between now and the close of the village on December 31. 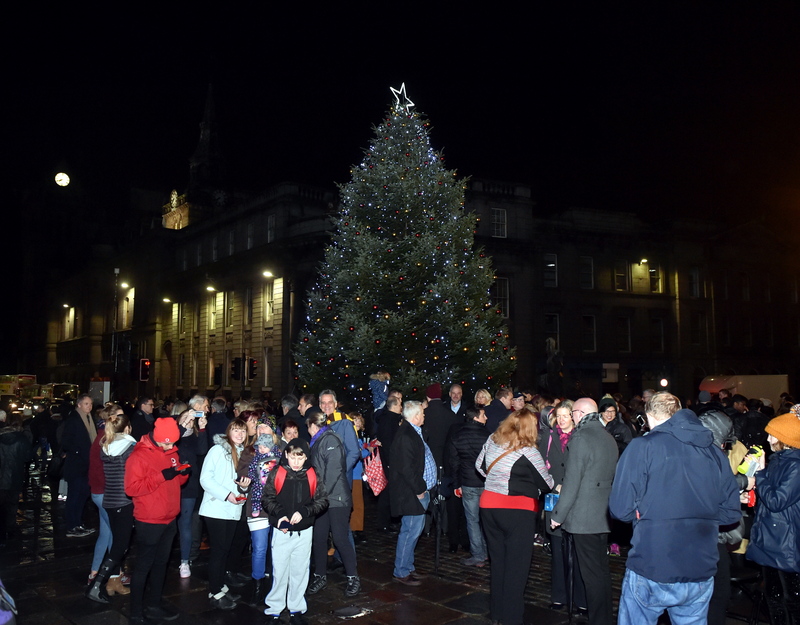 And the festivities continued last night with the switch-on of the Castlegate Christmas tree which was, as always, presented as a gift to Aberdeen from its twin city Stavanger. 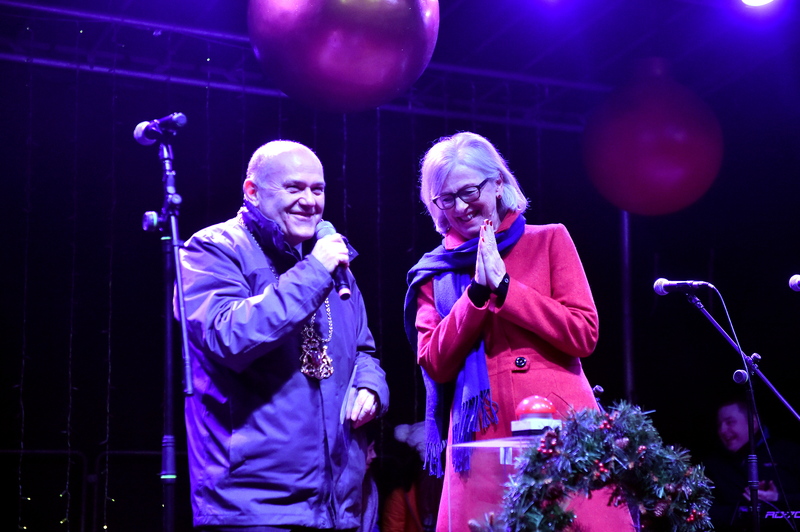 Lord Provost Barney Crockett was joined by the Norwegian city’s deputy mayor, Bjorg Tysdel Moe, as the lights began to twinkle on the magnificent 35ft fir. The ceremony was augmented by readings and music from Aberdeen Churches Together and the Cults Academy Vocal Quartet. Mr Crockett said: “The city centre is feeling wonderfully festive. A festive fun day will be held in the city centre on Sunday with a reindeer parade at 12pm and Santa fun run at 5.15pm, culminating in the main Christmas lights switch-on from 5.30pm.